I absolutely adore this apricot shade of orange for Summer. 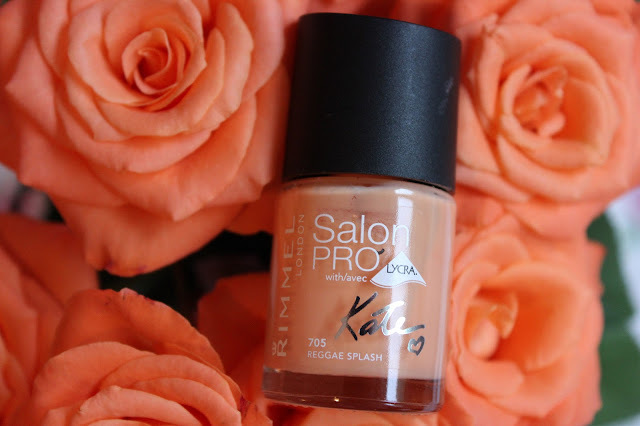 It is the first Rimmel Salon Pro nail polish that I've tried and I'm seriously impressed. The gel-like formula applies really smoothly and the "maxi brush" becomes flat and fans across the nail for quick and precise application. The formula is chip-resistant and claims to last 10 days, however I noticed a little wearing of the tip of the nail after 6 days. £2.99 (from Superdrug) this is an excellent quality and lovely little pop of summer colour that everyone should try. Have you tried any other shades from this collection?